Ontario’s biggest health care provider couldn’t stay organized because all of their facilities weren’t operating on the same time. Primex installed a custom GPS Clock System so they could operate successfully. 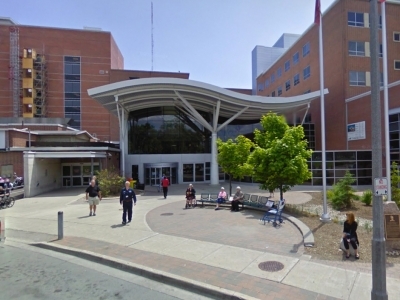 Lakeridge Health Corporation is one of the largest healthcare providers in Ontario, Canada, operating a variety of facilities including three acute-care hospitals and one specialty hospital, all running under their own independent time system. These discrepancies had the potential to cause litigation problems for the company, and hurt the quality care at Lakeridge’s facilities. Primex developed a GPS clock system that operated on a licensed 72MHz frequency so there is no concern about the system interfering with the hospital’s other equipment. Even more important, the system made it easier for hospital staffers. Because the clocks in all of Lakeridge’s facilities were now synchronized to the same time, there was no need to consult another source to ensure accuracy. In addition, Primex wireless technology also provides the flexibility Lakeridge need to add new additions to their facilities. All of Lakeridge’s facilities are synchronized to the same time. The customized GPS system allows other hospital equipment to run safely. The flexibility of Primex’s system has allowed Lakeridge to expand their operations without having to worry about complications.